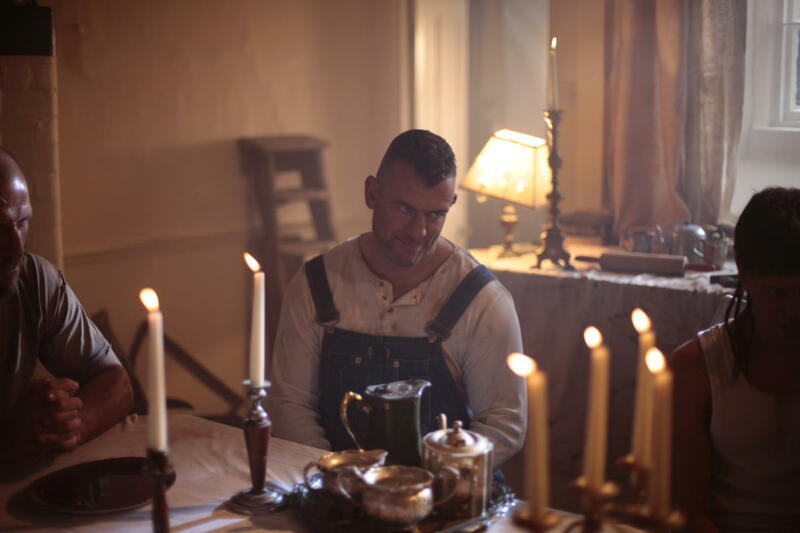 The debut feature film from British director James Bushe, “Cannibals and Carpet Fitters” is an original and fun horror-comedy with lashings of gore! 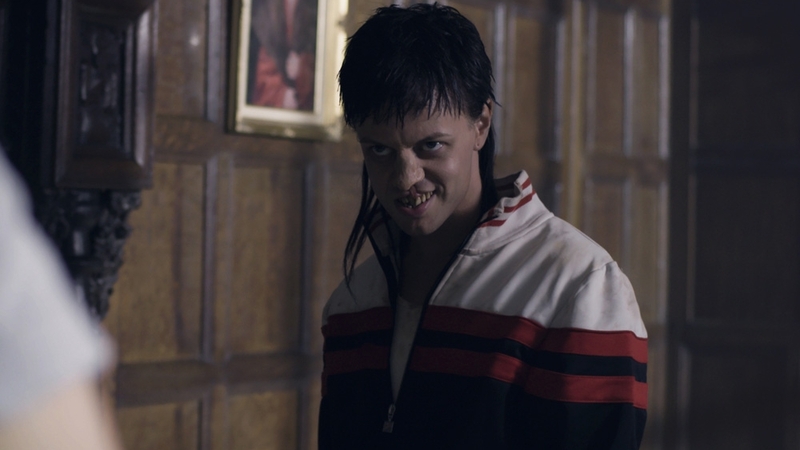 Cannibals and Carpet Fitters proves up-and-coming filmmaker James Bushe is definitely worth keeping your eye on. With a standout performance by Darren Sean Enright in the comedy sidekick role of Colin, and a host of great showings by the rest of the cast — including UK TV personality Alex Zane and a wonderful play-it-straight stint from experienced stunt coordinator Zara Pythian – Cannibals and Carpet Fitters flows nicely between out-and-out comedy moments and some truly shocking scares. Whilst never taking itself too seriously, the loving way in which the film is crafted, by what are obviously horror loving filmmakers, helps it to flow nicely and build to a wonderful third act — full of everything fans of the horror-comedy hybrid will love. Opening with a hand-held/found-footage type scenario involving a couple of campers (including Zane), we’re treated to a small sample of what’s to come for our protagonists – a group which are well cast and shielded nicely from revealing too much too soon (as can so often be the way with indie horror involving groups of people fighting for their lives). There’s enough intrigue about the characters, and sentimentality between the two leads (an effective “bro-mance”) to keep you rooting for them when things take a turn for the worst as the film progresses. Initially, we’re introduced to Colin and Dean, as well as Tasha and Chris – all, as the title suggests, carpet fitters for a small firm. The owner of the company (a mischievous turn and wonderfully caricatured as the typical British small business owner) has got a seemingly sweet gig, fitting out a grand old country house for the crew – and as you can guess, it doesn’t all go to plan. Oh, and the company secretary is also worth a mention as the type of person many of us will be familiar with in the workplace. Once in the remote location, and tasked with fitting the new carpets, things take a turn when the workers discover that the inhabitants of the dilapidated estate want a little more from them than just their sweat and finely blended carpets. The makeup design for the family of cannibals is brilliantly executed and adds a surreal look to them (as does the sheer size of actor Mingus Johnston as Edward) and makes for a convincing threat. One of the things I loved most about this film is how director Bushe is happy to buck the trend of many low budget indie horror movies and opts to show us the majority of the film in daylight. He doesn’t rely on the cheap “keep it dark” method, and for me, that adds to the horror experience of watching the film. Without giving too much away, the title of the film is pretty self-explanatory. The film balances nicely, delivering on expectations that traditional horror fans will enjoy immensely, while providing a good number of genuine laugh out loud moments. There’s one spectacularly shocking moment which pivots the whole drive of the film and caught me unaware, which is to be applauded. I thoroughly recommend checking this one out, as it was easily one of my favorite original indie films of the year. 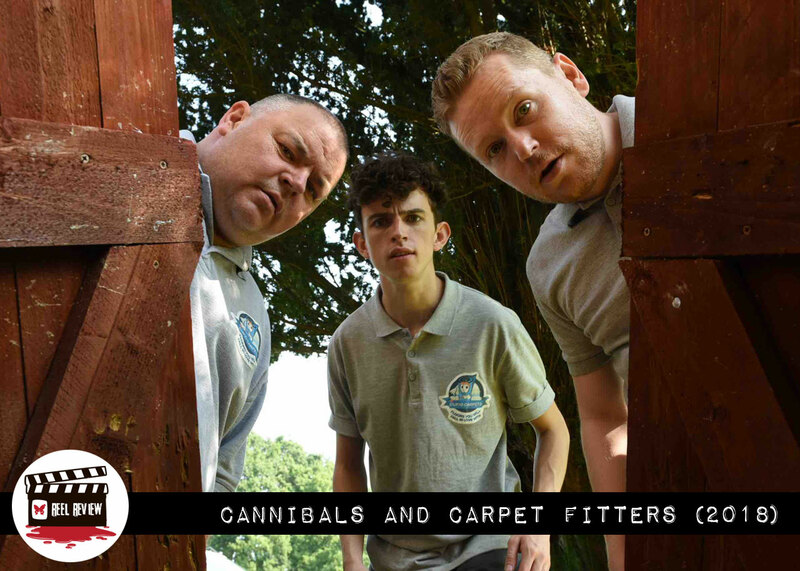 Cannibals and Carpet Fitters is currently available on VOD from Red Hound Films.